Danielle, Jayson, and Kemani testing to see if the water is ready to support fish in the J.O. 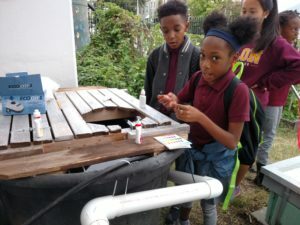 Wilson Elementary School aquaponics system in Washington, DC. 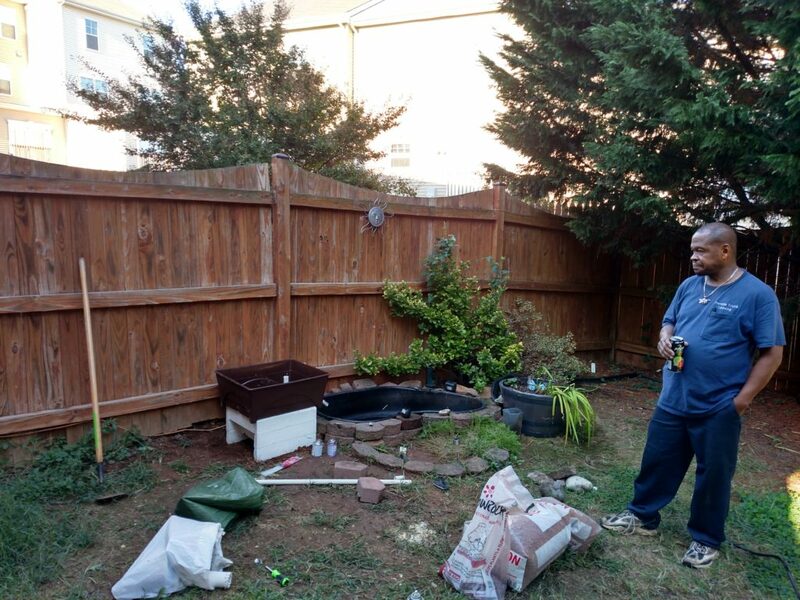 Here’s a pic of Mr. Carroll Bryant, contemplating his forthcoming aquaponic system and drinking a tasty energy elixir. Carroll and his wife Janet have a 50 gallon fish pond. 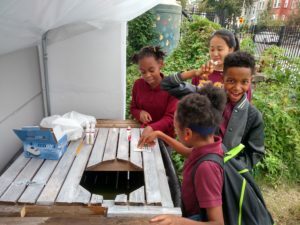 I met Janet at some Washington, DC DPR urban agriculture events and she wondered if it was possible to do aquaponics with their backyard fishpond….more to come! 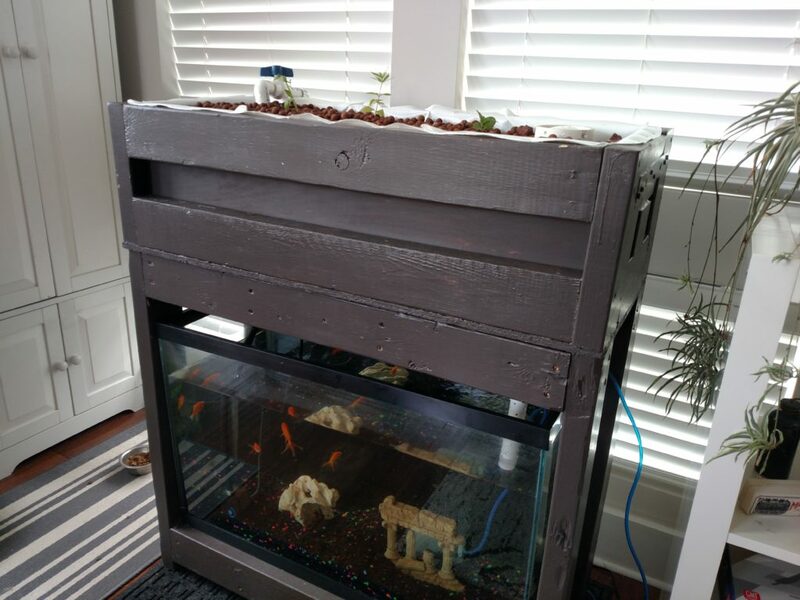 “The Hootie”, an indoor aquaponics system by Anacostia Aquaponics named after my cat. Its just getting started with some young plants and a few small goldfish. 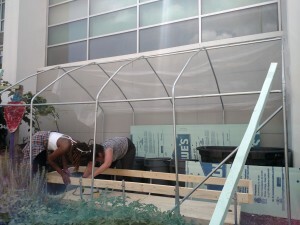 We are making progress on our new aquaponics system at JO Wilson elementary school in Northeast DC. Hopefully we will be ready to start some fish and plants in a few weeks! 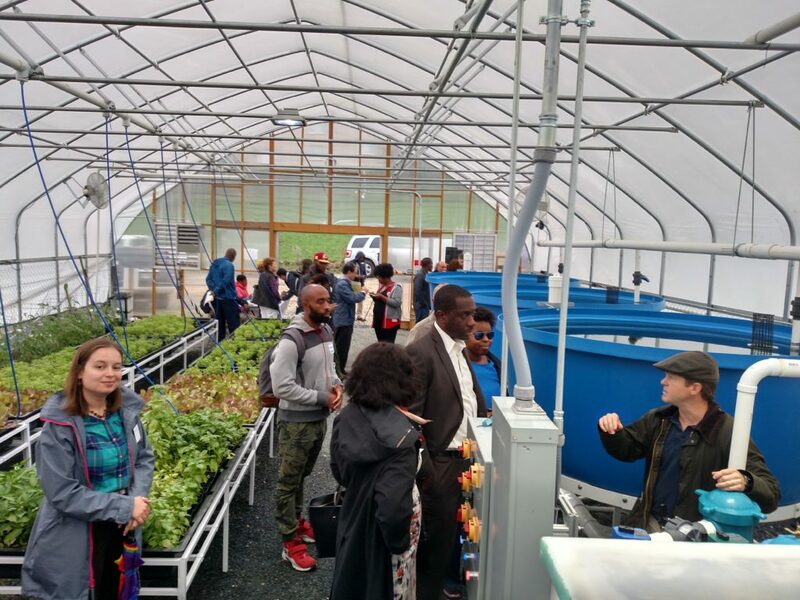 ONE — How do we quantify the benefits of Aquaponics; and TWO — How do we monetize the benefits of aquaponics? Good stuff so far, more to learn, more to do…. DC Council Chairman Phil Mendelson and Council Member Mary Cheh are working to make positive changes to the Urban Farming and Food Security Act of 2014. Two main provisions of the Act are to identify DC-owned vacant properties to convert them into farms; and also to provide landowners with tax incentives to lease vacant land to farmers and gardeners throughout the city. But unfortunately, although passed into law these provisions haven’t gone into effect because they are stuck in regulatory limbo. Hopefully Chairman Mendelson and Council Member Cheh are successful in their efforts to address these issues.